(MP410)PADLOCK, XENOY, 1 3/4" BODY, 1 1/2" SHACKLE. Each for $13.80. (MP411) PADLOCK, XENOY, 3" BODY, 1 1/2" SHACKLE. Each for $15.15. 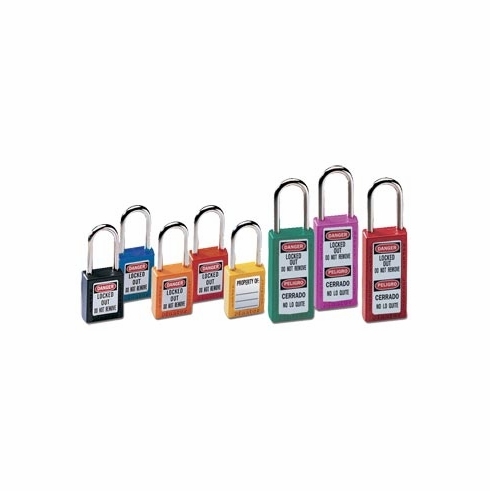 Ideal for use with all lockout devices. Choose from a variety of styles, sizes and colors.